Today brings us Volume 4 of The Jeff Clark Mailbag, an ongoing series that will feature some of the most frequently asked and interesting inquiries Jeff has received, along with his answers. What is the best secure place to store gold bars? Probably a non-bank vault that has a high degree of liquidity. A bank safe deposit box is safe but has low liquidity—what if you need the gold over the weekend? Or there’s some sort of banking “holiday” where they’re temporarily closed (this happened to a few banks during 9/11)? And you still have to take the gold somewhere to sell it. Hiding places at home can work, and home safes, but my Dad had a friend who was forced at gunpoint to open his safe. If absolutely nobody knows or even has an inkling you might have valuables in the house that might work, but I personally don’t like the risk. I personally want both high safety and high liquidity. Here’s my true story of gold getting stolen out of my house, and what I decided to do instead: Robbed for My Gold: Learn From My Mistakes. 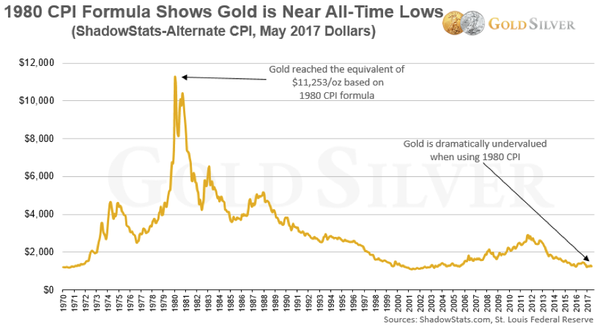 In an uncertain economic context, will gold make a strong comeback in 2019? 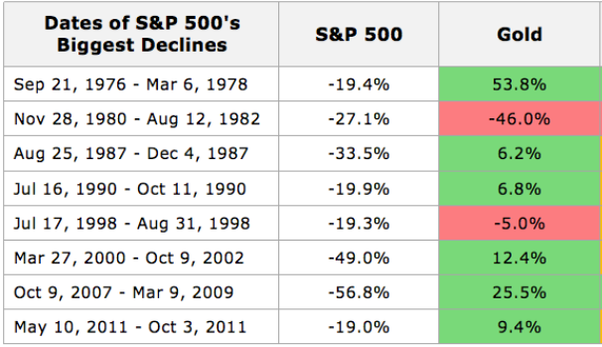 So not only has gold historically risen during periods of economic uncertainty, it’s undervalued to boot. 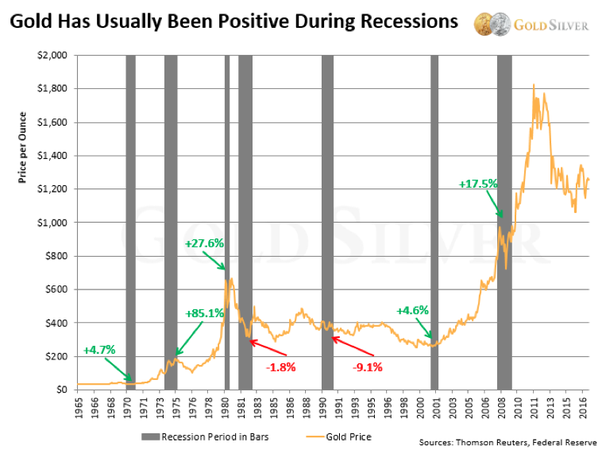 Why aren't the precious metals considered a good investment for the long term? 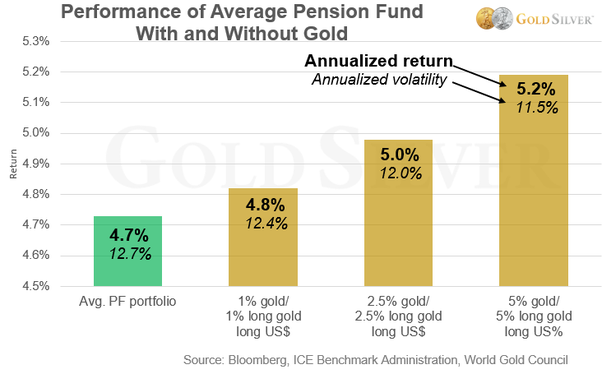 And this 40-year study shows that pension funds have stronger performance and lower volatility when they have 5% exposure to gold. 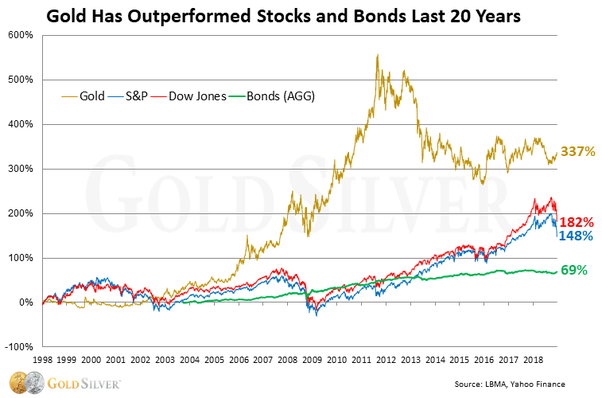 Which is a better investment today, short term bonds or gold? First, bonds have been in a bull market for something like 37 years; that trend won’t last forever. Second, yes, bonds pay a little bit of interest, but rates are so low that the total interest on a $10,000 investment in a 30-year treasury bond at current yields would return you approximately $9,840. That’s not even a double on your investment after three decades. And it definitely wouldn’t keep up with inflation. Gold, on the other hand, doesn’t pay anything, but first, it is a full third below its 2011 peak and thus undervalued. And second, it is much more likely to keep up with high or spiking inflation than a Treasury bond (TIPS can keep up with low inflation but historically don’t with surging inflation). 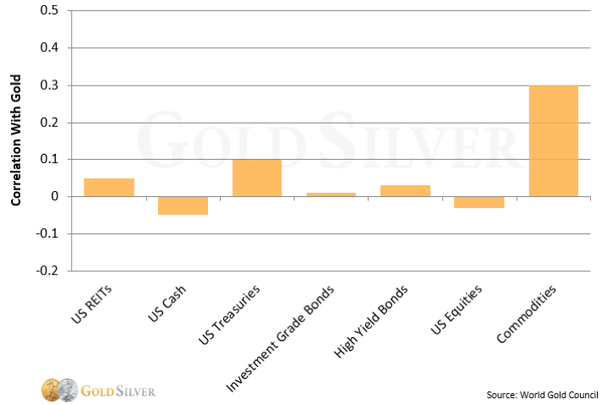 And gold is the ultimate crisis hedge, a hard asset product you can hold in your hand that has zero counterparty risk, something no bond can claim.